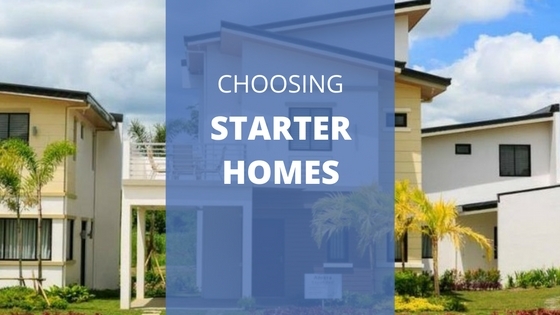 Which is The Right Home for You between Starter Home and Dream Home? | LANCASTER NEW CITY CAVITE Which is The Right Home for You between Starter Home and Dream Home? Which is The Right Home for You between Starter Home and Dream Home? Many first-time homebuyers face a tough decision: buying a starter home or waiting until they have enough saved up to buy their dream home. Newlyweds in particular are forced to make a decision on which homebuying route they must take. The decision is rarely easy. That’s because many couples already have an idea of where they want to live and do not want to settle for less. It’s understandable, but not willing to sacrifice can also end up costing more money and time in the long the run. A starter home may not be what you’ve always imagined for yourself and your family, but it could be the place that helps gets you into your dream home faster. A starter home is usually an affordable property, such as studio unit, that first-time homebuyers have the means to buy or acquire a mortgage on with a low down payment. These properties are usually situated in suburban locations. Lower mortgage – Starter homes are far more affordable thanregular homes meaning monthly mortgage payments are less. For young families, this provides a chance to save money while still owing a property. Your own space – The alternatives to buying a starter home are either renting a property or living at home with the parents. The former is fine if you don’t mind not being able to recoup your money in the long run. The latter is also acceptable, but if you’re like many young families, it might be nice to move out on your own. Investment – When you’re finally prepared to purchase that home of your dreams, you can sell the starter home to help with the down payment. This is something not possible when renting. Training – A starter home is a low-pressure way to prepare for buying that dream home. While many young people are reluctant to wait, it may take a few years for your family to be fully settled. Career and kids tend to be the biggest factors and just because you can afford a larger mortgage now doesn’t mean it you’ll be able pay it three years down the line. How long should I stay in a starter home? It all depends on your financial situation. You could win the lottery tomorrow making all of this moot. That being said, many people have the right combination life and financial stability after five years. Just be sure to create a financial plan that keeps you on the road to buying your dream home. Eventually you’ll reach your destination.